Detached copper alloy knob from a cruciform brooch. 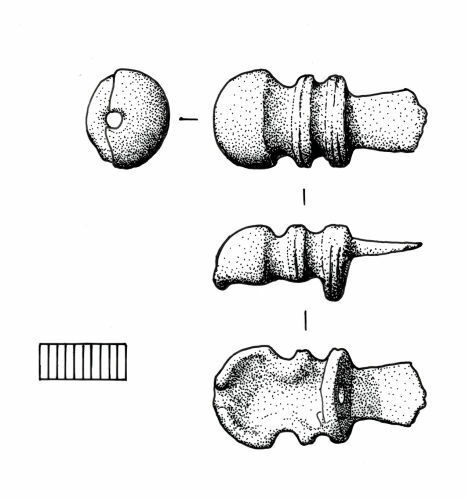 The knob is hollow-backed with a perforation at each end to recieve the pin bar. A sub-rectangular plate projects from one end; this would have sat over the front of the brooch headplate. Mid to late 5th century AD.